Q. 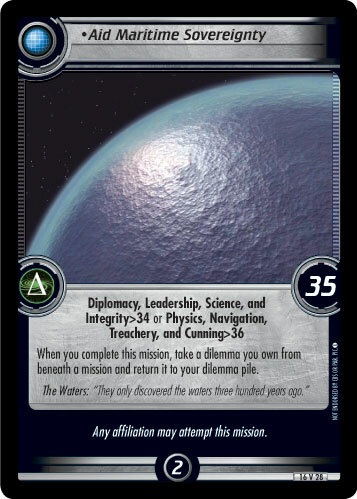 When personnel that the player on your right commands begin a mission attempt, search your dilemma pile for a dilemma that costs 1 or less, and place it aside. 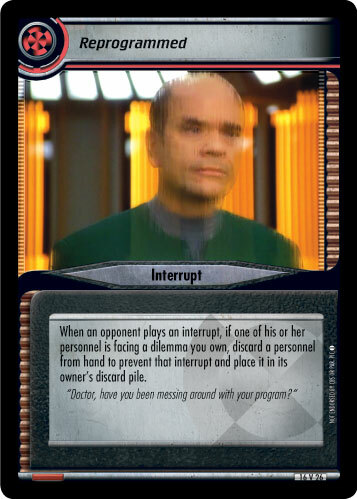 Shuffle and replace your dilemma pile. 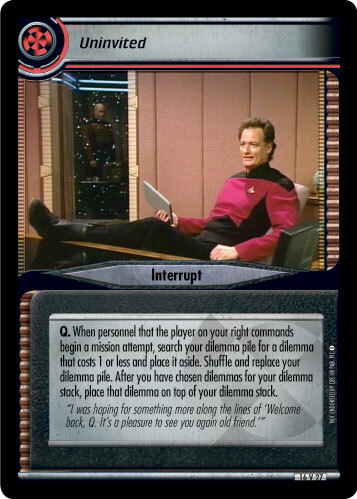 After you have chosen dilemmas for your dilemma stack, place that dilemma on top of your dilemma stack. "I was hoping for something more along the lines of 'Welcome back, Q. It's a pleasure to see you again old friend.'"